Are you interested in doing business in Algeria? Are you interested in taking a trip to Algeria? Are you of Algerian heritage and living, working or visiting Cleveland or Northeast Ohio? Submit your Cleveland Algerian news and events. Submit your Cleveland Algerian organizations and resources. Submit your Cleveland Algerian jobs, classes and other opportunities. 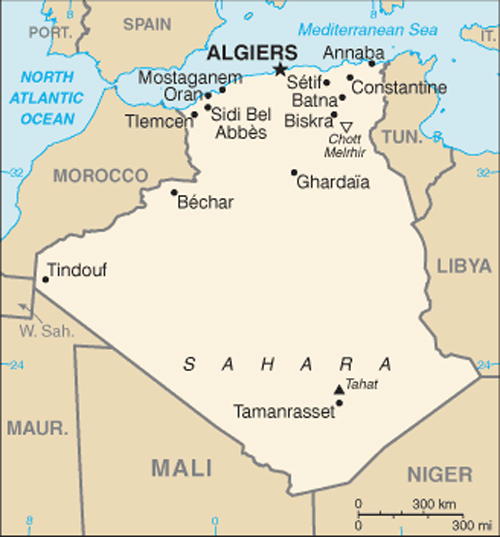 After more than a century of rule by France, Algerians fought through much of the 1950s to achieve independence in 1962. 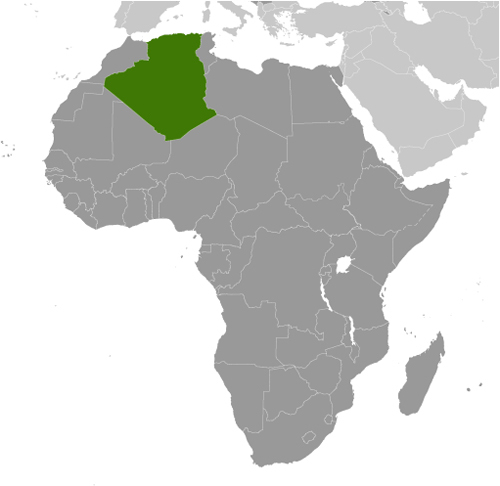 Algeria's primary political party, the National Liberation Front (FLN), was established in 1954 as part of the struggle for independence and has since largely dominated politics. The Government of Algeria in 1988 instituted a multi-party system in response to public unrest, but the surprising first round success of the Islamic Salvation Front (FIS) in the December 1991 balloting led the Algerian army to intervene and postpone the second round of elections to prevent what the secular elite feared would be an extremist-led government from assuming power. The army began a crackdown on the FIS that spurred FIS supporters to begin attacking government targets. Fighting escalated into an insurgency, which saw intense violence from 1992-98, resulting in over 100,000 deaths - many attributed to indiscriminate massacres of villagers by extremists. The government gained the upper hand by the late-1990s, and FIS's armed wing, the Islamic Salvation Army, disbanded in January 2000. Abdelaziz BOUTEFLIKA, with the backing of the military, won the presidency in 1999 in an election widely viewed as fraudulent and won subsequent elections in 2004, 2009, and 2014. The government in 2011 introduced some political reforms in response to the Arab Spring, including lifting the 19-year-old state of emergency restrictions and increasing women's quotas for elected assemblies, while also increasing subsidies to the populace. Algeria's reliance on hydrocarbon revenues to finance the government and large subsidies for the population is under stress because of declining oil prices. Tell us about the music, food, holidays, traditions, costumes, language and other qualities that makes people from Algeria so special. Submit your Cleveland Algerian cultural items. Read more about the Algerian and other Ambassadors. If you are interested in being considered to be an official ClevelandPeople.com Ambassador to the Cleveland Algerian community, please contact us. 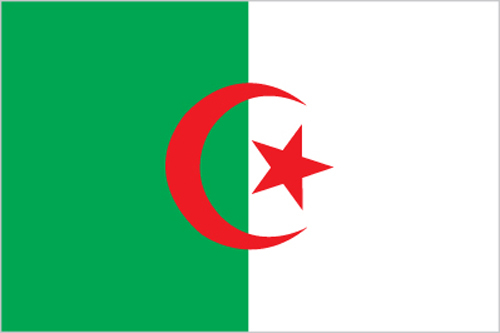 If you want to reach the Algerian community in Cleveland and Northeast Ohio, please contact us.